custom latest design women muslim dress modern malaysia white baju kurung peplum fabric polyester, cotton, polyester, spandex, linen etc . color as shown,custom color oem&odm accept(size,color,design,style) style casual gender women lady girl. oem serivice our company provide oem/ odm service to customers. 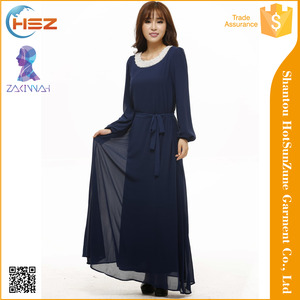 newest fashion baju kurung malaysia peplum for women with black dress picture shows products information also, we provide the oem service, we can make the products as your require. 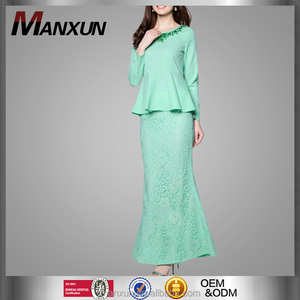 Alibaba.com offers 419 baju kurung peplum products. About 84% of these are islamic clothing, 2% are plus size dress & skirts, and 1% are 100% cotton fabric. A wide variety of baju kurung peplum options are available to you, such as oem service, make-to-order. You can also choose from free samples, paid samples. There are 419 baju kurung peplum suppliers, mainly located in Asia. 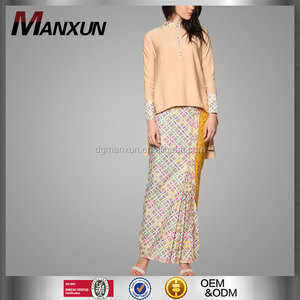 The top supplying country is China (Mainland), which supply 100% of baju kurung peplum respectively. Baju kurung peplum products are most popular in North America, Southeast Asia, and Western Europe.